"I can't vote to give the president the power to spend money that hasn't been appropriated by Congress. We may want more money for border security, but Congress didn't authorize it. If we take away those checks and balances, it's a dangerous thing." 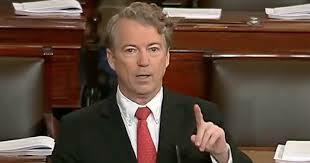 Why it matters: Paul's vote, along with the votes of Republican Sens. Susan Collins (Maine), Lisa Murkowski (Alaska) and Thom Tillis (N.C.), gives the Senate the majority necessary to block Trump's national emergency. Sen. Lamar Alexander also warned Trump last week that he will face a GOP rebellion if he follows through with the declaration. Trump has already vowed to veto the resolution if it passes, which will be the first veto of his presidency.